The faculty gained modern equipment for teaching and research and premises offering sufficient space. Last week, lessons at the Faculty of Arts started in rooms that are completely new. Opening ceremony at the Arna Nováka street concluded three years of demolition, construction and moving. The refurbished A and B1 buildings as well as a completely new B2 building are now open to students and teachers. The Faculty of Arts gained modern equipment for teaching and research and premises offering sufficient space – they replaced old facilities, which were no longer suitable after years of use. 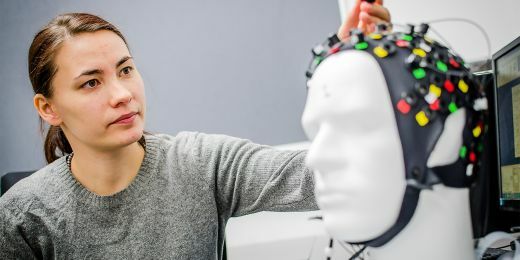 Thanks to a project entitled Center for the Advancement of Research in the Liberal Arts (CARLA), the faculty gained an area of more than 10,000 m². “This gives us the facilities we need for our teaching and research activities. The return of a part of our offices to our main buildings should also help re-unite the members of the faculty community, who were for a number of years – and to some extent still are – scattered around Brno at a number of different workplaces,” said Milan Pol, the Dean of the MU Faculty of Arts. During the opening ceremony, the MU Rector Mikuláš Bek invited humanities scholars to keep reminding the public of the importance of their disciplines. “I would like to ask the academic community to be confident and to actively react to the jargon regarding the humanities that now prevails in the political discourse. To confront this obvious contempt, we need to be more actively engaged in the public space,” he said. 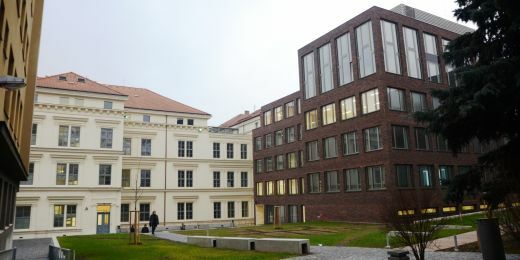 Besides classrooms and offices, the new buildings also contain the library depository, the faculty department for digitalization, an underground parking lot and, most importantly, much better facilities for research, such as a new laboratory for experimental research in the humanities. The project involved the demolition of the unsuitable B2 building and thorough remodeling of the A pavilion, which was built as early as in 1872 and originally served as an orphanage, as witnessed by the memorial plaque found by the construction workers during their work. When the works were finished, the plaque returned to the building as well as the replicas of ancient statues that the university acquired from a closed German technical school after WWII. The EU Operational Programme Research and Development for Innovations provided funding for the project amounting to 485 million Czech crowns. The faculty complex also includes the C, D and E buildings as well as a library. These are also going to be remodeled in the following years. At the moment, preparations are ongoing for the choice of the construction company. “If all goes well, the contractor should be selected by May 2016 and construction works should start in May or June of that year. 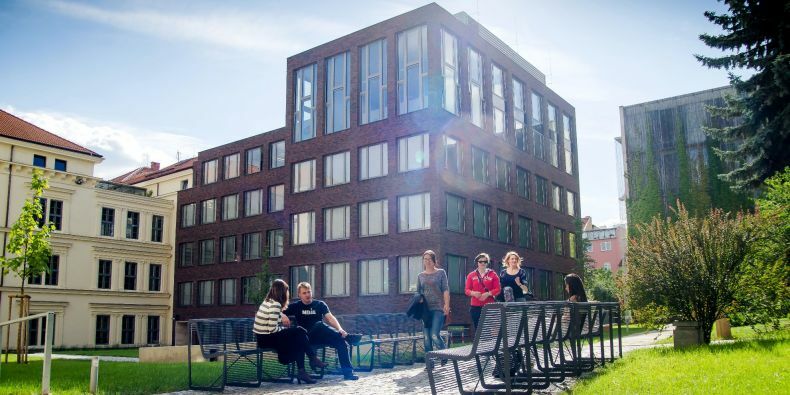 The buildings could be re-opened for classes by the beginning of the fall semester 2018,” said Ivo Jurtík, the Bursar of the Faculty of Arts. 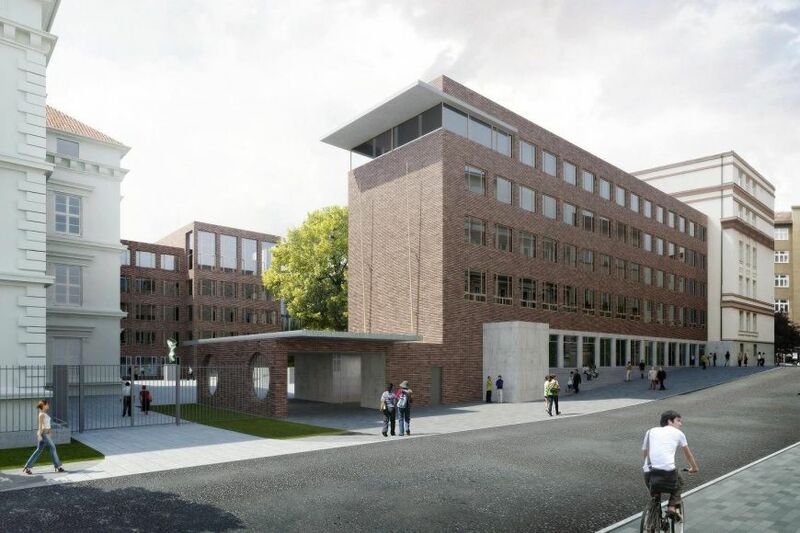 The second stage of remodeling the faculty buildings will include a complete reconstruction of the entry to the complex from the Arna Nováka street. The building of the former student café will be demolished and a six-floor classroom building will be erected at the site. The construction workers are also going to strip the building down completely, change the internal partitions and staircases and install new windows and insulation. The structural integrity of the C building, which is now the seat of the Dean's Office, is compromised and the building needs to be strengthened. Together with the E pavilion it will also undergo the installation of new floors, wiring and plumbing. Thanks to the remodeling – with an estimated cost of 428 million Czech crowns, which is expected to be financed by the government budget – the energy performance of the faculty buildings is also expected to improve.